The University of Iowa Dance Team prides themselves on having a team that's a family, with a "Team First" mentality. What makes them unique is that not only do these 20 dancers perform at the University's sporting events, they also compete at a State and National level! 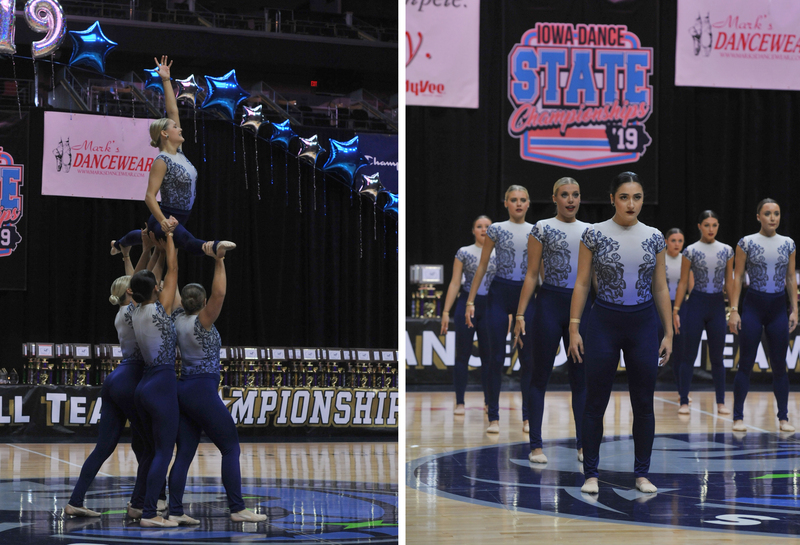 The team had quite the busy season this year: they went from the Iowa Dance State Championships, where they performed in 3 routines for the first time, to the UDA National stage. 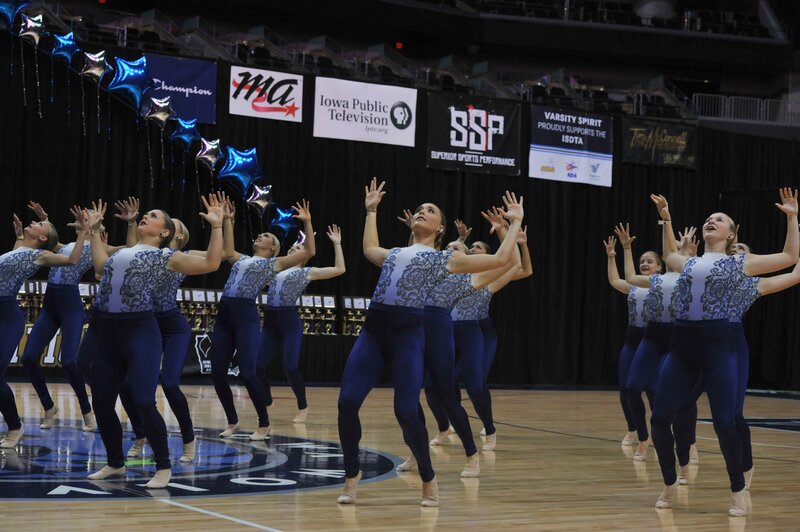 For their Jazz routine, the team performed to "The Sound of Silence" by Disturbed. 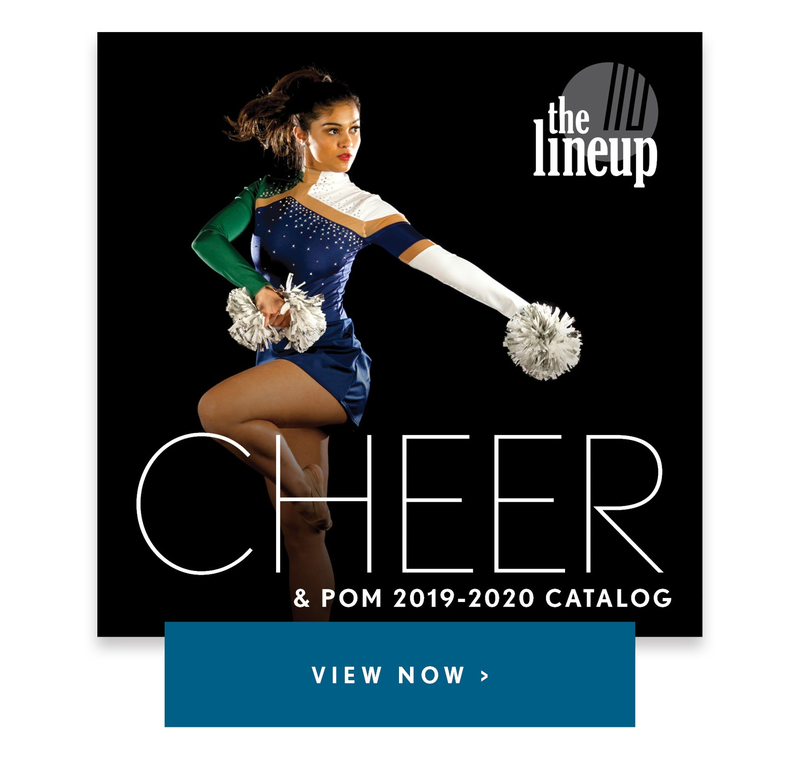 Inspired by the mood of their song, and wanting to have a costume that elongated the dancer's leg lines, the team landed on a stunning unitard with a dye sublimated floral bodice. "They hit several trends I've noticed this year," said Margo Koster, the Line Up designer for the project. "A moodier, slower version of a classic song, velvet fabric, and romantic and floral artwork." 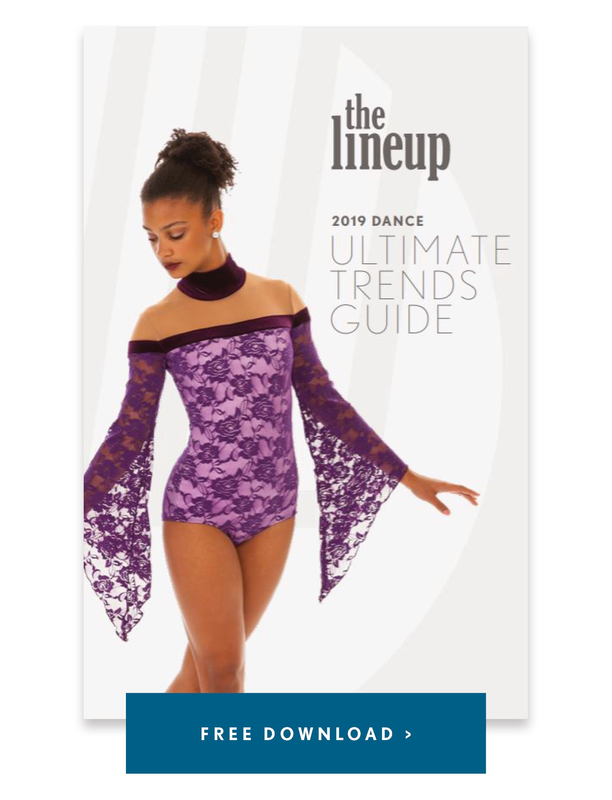 The team used the floral design from the Vineyard Leotard online style, and modified it from a leotard into a unitard to achieve their desired look! Fun Fact! Head Coach Jenny Eustice and The Line Up Account Manager Lindsey Stone danced on the University of MN Dance Team together 2001-2005 (pictured below wearing Line Up costumes!). See more of the University of Iowa Dance Team and their Q&A below! We had the time of our lives running out of the castle for jazz semis today. Thanks and love to our choreographers @mtaltosino and @gilrmata for creating this amazing piece of movement. Placing 14th out of 26 teams, we missed finals by .06 points. We will #FINISHTHEFIGHT in Pom finals tomorrow at 3:44pm est! Our team of 20 performs at football, basketball, volleyball and wrestling events. The same 20 dancers also compete! Our team has the unique experience of competing at the state and national level. The Iowa State Dance Team Association hosts a college competition at the same time as the high school competition, and it is the largest state dance competition in the country! What does teamwork mean to you? How do you rally your team? Team first is a core value of our team. We work on building trust and pride ourselves that our team is a family. To get ourselves ready for performances and competitions, visualization is key. We also like to do “hype circles” where we mark our routines in a close circle so we can feel everyone’s energy. What was your inspiration/concept and how was it incorporated into your costume, choreography, and music? Our jazz routine was choreographed to “Sounds of Silence” by Disturbed. We wanted something that elongated the dancer's leg lines and yet captured the mood of the song. What is your favorite memory from this season? This season we were a part of Pat Green’s live performance of “Wave on Wave”, which is the song that is played at every home football game at the end of the 1st quarter. The University of Iowa Children’s Hospital overlooks Kinnick Stadium and the entire crowd waves to the kids that are currently in the hospital. The song and this movement brings tears at every game. What's your team's biggest challenge/opportunity this season? Our team always works to push ourselves in style and difficulty. We put three competition routines on the floor at the Iowa State Competition, competing in hip hop for the first time. Our Jazz and Pom national routines were the most difficult our team has put on the floor.